Picture courtesy of Ed Overstreet. Congratulations to this week’s Fox Sports 1400 High School Player of the Week. 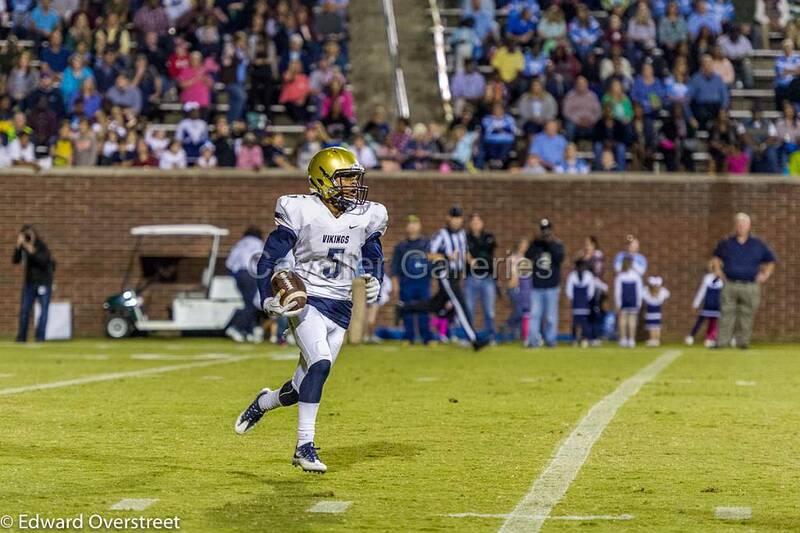 Spartanburg Viking junior Damyjai Foster was once again a Mr. Do It All in the 35-17 2nd round win over Laurens. Foster had 3 catches for 96 yards including two 41 yard TD receptions. His 14 yard reception was on a 4th down conversion. He also had 2 kick returns for 45 yards and 1 carry for 7 yards. He totaled 148 all purpose yards on 6 touches. Foster also had 1 INT in the end zone and 2 Pass Break Ups. Foster has been a shut down corner all year on defense and was outstanding once again Friday Night at keeping his man covered up. Spartanburg will host Dorman in the Quarterfinals of the 5A bracket Friday Night.